This book offers a new introduction to Katherine Mansfield's short stories focusing on the question of the connection between life and writing in her work. This book offers a new introduction to Katherine Mansfield's short stories informed by recent biographical, critical and editorial work on her life and on her stories, letters and notebooks. The study focuses on the question of the connection between life and writing in Mansfield's work: it explores her engagements with issues of personal identity and elaborates her theory and practice of a poetics of impersonation whereby the identity of the author is merged with those of her characters. Bennett argues that Mansfield's multiple and unstable identities and identifications are bound up with issues of colonialism, nationality, gender, and sexuality, and that they may be said to be embedded within the very texture of her prose. 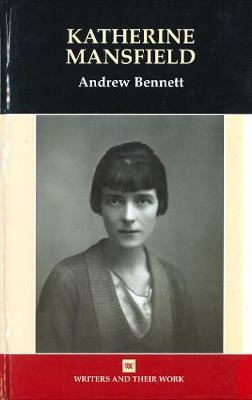 Mansfield's impersonations, in their engagement with a 'queer' aesthetics, with strangeness and surprise, with hatred, with an unsettling of personal identity and with the uncertainties of national and sexual identification, constitute the risk and the achievement of Katherine Mansfield's writing.